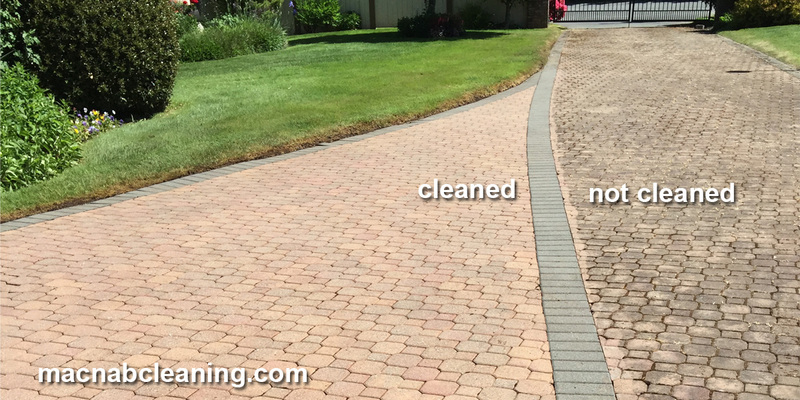 Power washing can remove the worst grime… stuff that wont’ come off any other way. This is a project that removed stubborn algae. We treated it with environmentally sound treatment and it will keep it away for years. We re-sand as well to keep bricks in place and prevent weeds and plants from growing in the gaps.